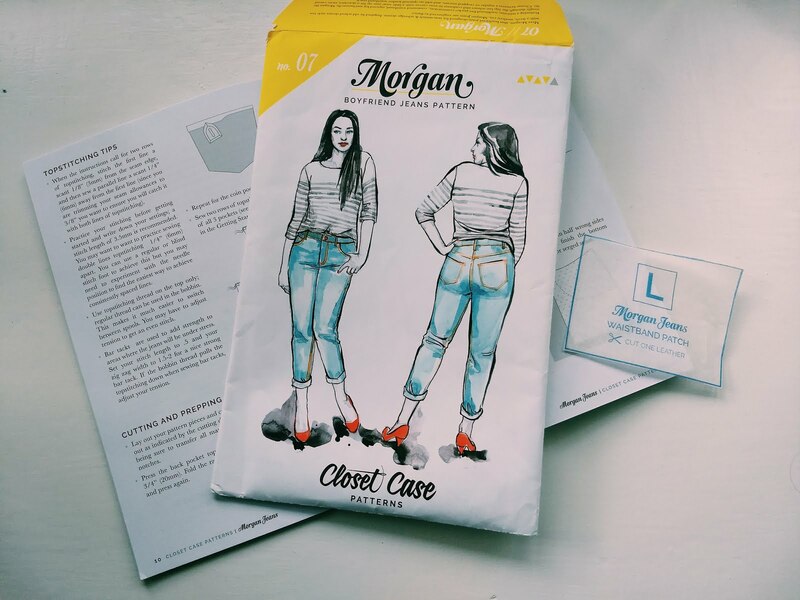 Last month was 'No Fear New Jeans' month from Closet Case Patterns which meant that there were some great discounts to be had. 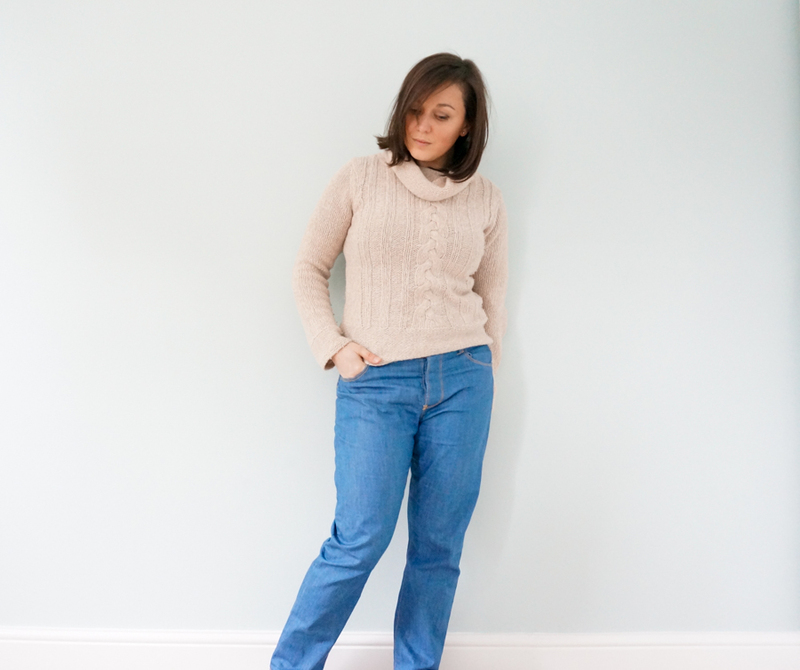 I happened to have my pattern ready and waiting, but it did spur me on to getting on with these jeans, and getting over my fear of contrasting topstitching. 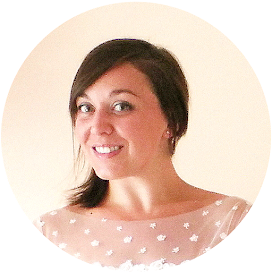 You can see I've been wearing them a lot already from the photographs - they are so handy for casual wear! 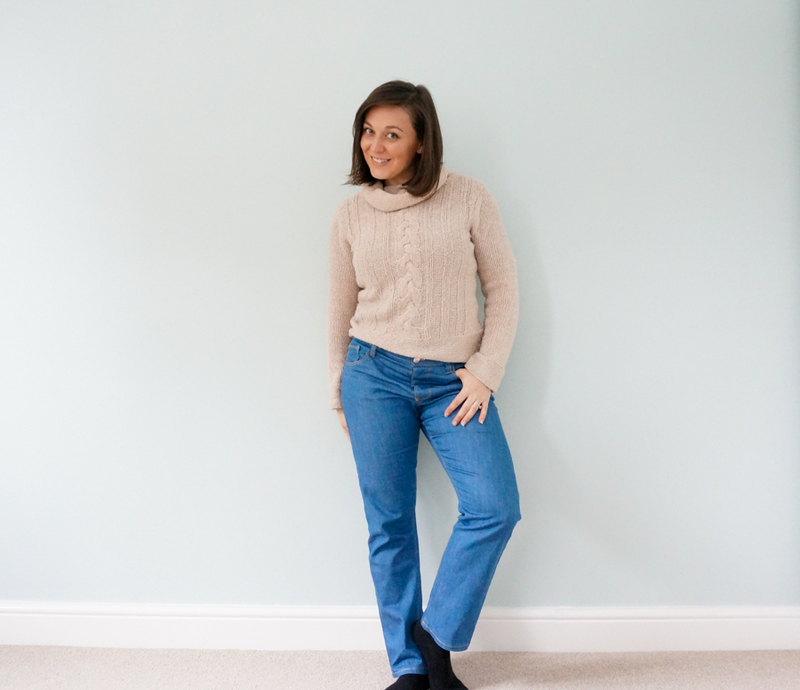 I bought the denim for these jeans at the GBSB live show from Guthrie & Ghani's stall. They had some really great kits available that contained pattern, fabric and notions...all colour matched and ready to go. I already had notions so just went with the paper pattern and fabric, which together cost about £50. It's a mid blue, mid weight denim, with no stretch. It's the first time I've worked with this kind of material, but seemed to cut, sew and press fine. I used a denim needle throughout and was very careful with cutting to make sure I wouldn't end up with 'denim twist', following the tips I used for my Ginger jeans. For these jeans you also need a lighter weight fabric for the pockets, and I still had enough Atelier Brunette lawn for these, just as I had used for my Ginger jeans. It works perfectly for this purpose, and I love the Angele pattern design peeking through on both pairs of my jeans! 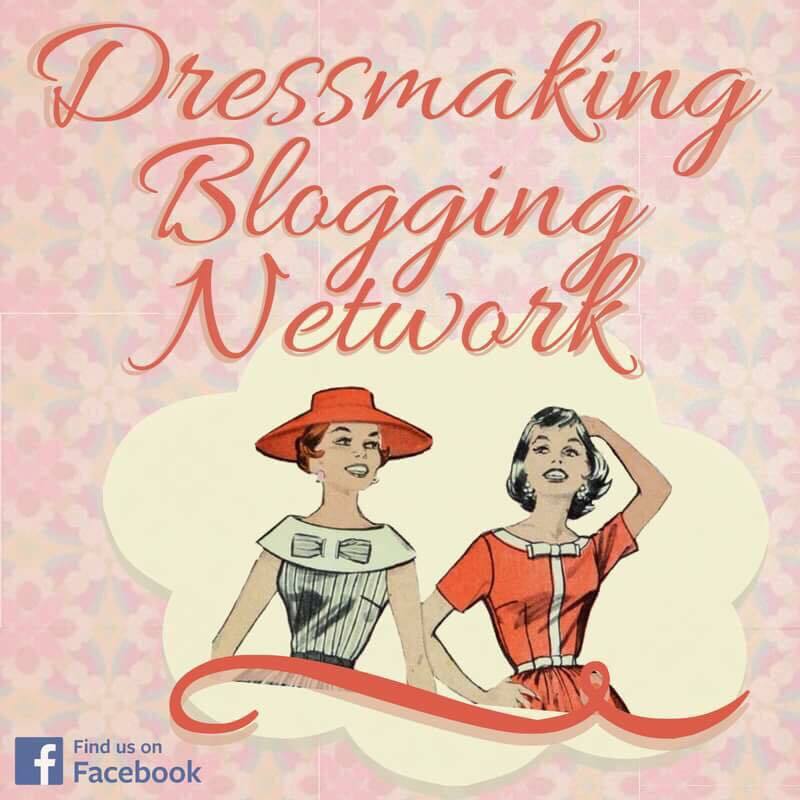 Having spent most of the year so far working with pdfs, it was lovely to have a printed pattern to work with! In the envelope you get all your pieces on pattern tissue, and a lovely colour booklet full of instructions. The Morgan pattern is a mid rise, boyfriend style jean can be made as a regular or cropped length, and it features a button closure as well as traditional five pocket detailing. It's quite different to the Ginger jeans pattern and is more of a casual style. The instruction booklet guides you through a lot of fitting elements that are going to be crucial to getting a good fit from your jeans. Toiling is the most important step in the whole of this make. This is what I ended up with because I did not spend enough time toiling. My waistband was too loose and I basically ruined what had shaped out to be a beautifully made pair of jeans. I still cannot believe I didn't check more thoroughly beforehand. This is not a quick project. It is one to enjoy taking time over. Apart from the fitting, the jeans have quite a few elements that need to be put together and there is a lot of topstitching too. This is one of those projects where you use every machine and tool you have to hand! Personally I like having a few of these more involved projects to get stuck in to. The instruction booklet has a lot of detail to accompany you on the project, from before you cut anything right through to how to tackle each step. 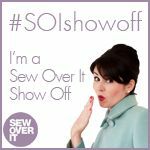 There's advice on topstitching which I found particularly helpful, and referred back to frequently. Although the instruction booklet really is comprehensive, I would recommend checking out the Closet Case Patterns tutorials too. There you can find more details for some of the more complicated elements, along with photographs and other useful to know information. After some tissue fitting and comparison of finished measurements, I took 3 inches off the length to fit my 5ft height. My main alteration came after they were finished. If I had toiled properly, I would have created a waistband with more curve to fit me better, or possibly have graded down a size. Instead I found out at the end that I needed to reduce the waist, and about the top 3-4 inches too. I should have taken off the waistband and reduced this, and the sides, or possible the centre back yoke. I really didn't want to undo all of this - I had done such a good job with the topstitching and it was super secure! Instead I took the extra out of the side seams, unpicking and cutting off excess where I could. It wasn't possible to do this at the waistband so I have an ugly fold here. They fit and I wear them a lot, nobody knows or notices, but I know they aren't up to scratch. What I like about this make - is that I created a 'real' pair of jeans, just like you buy in the shop! This pattern helps you to really accomplish something that holds up to ready to wear jeans - nobody knows they are handmade! What I'm not sure about - other than my obvious errors in fitting, I'm not sure that this style is for me. 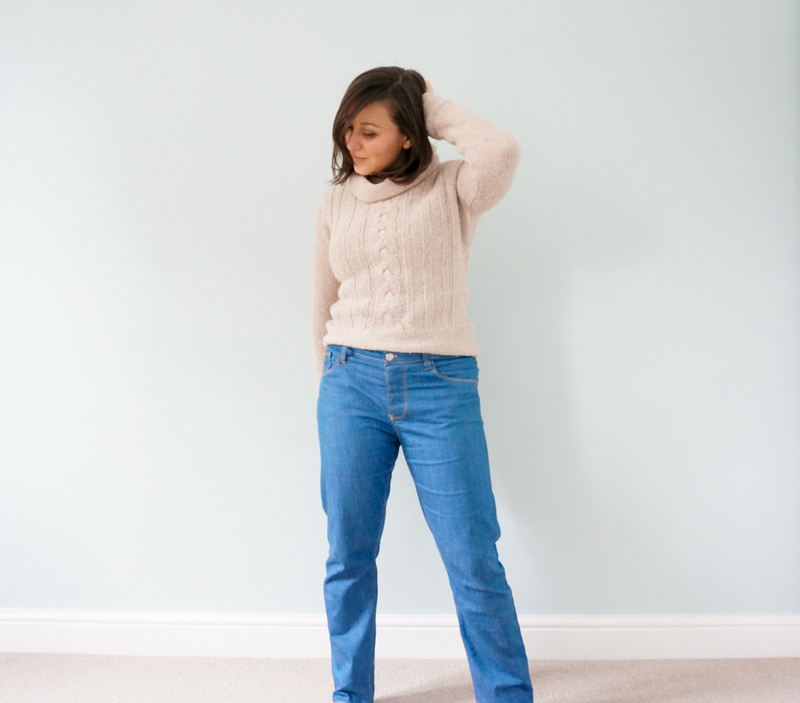 I've never worn boyfriend jeans before, and I'm not convinced they are the best for me. Would I make this pattern again? Not sure - I can see a lot of potential but I'll have to see how these fit into my style for a bit. Would I recommend this pattern? 100%. I haven't made a lot of other jeans patterns, but I can't imagine they would have this level of support and detail. You really can create something of a very high quality with this pattern.